Samsung has released quite a few Gear VR headsets over the years, but one thing they all have in common is the fact that you need to insert a smartphone into them. The next generation Gear VR that is currently in development will break away from that tradition, however. That is, if a new rumor from Samsung's home country of Korea is to be believed. 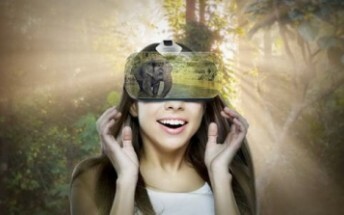 The next Gear VR is said to be the first standalone headset in the series. It will have its own screen, which will be of the OLED variety and feature the insanely high pixel density of 2,000 ppi. That will help alleviate feelings of dizziness and nausea that are associated with VR headset use nowadays, according to an unnamed industry official. Samsung is apparently adamant that once you go past 1,000 ppi for VR, any problems regarding realism and sickness will turn into non-issues. Of course the company has so far declined to officially comment on such rumors and speculation, but it would be interesting to see the next Gear VR competing with the likes of the Oculus Rift and HTC Vive in this space, while leaving both in the dust when it comes to pixel density.